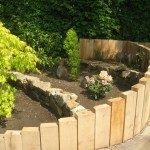 If you’re looking for landscape designers in Manchester and Sale, contact us today for a free quote. It is not often the clients go away and leave you to it but it’s no bother to us, but when it’s a secret surprise for my clients husband it makes it all the more special. 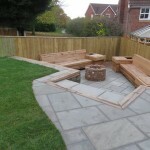 I have worked for this client before so there was already trust that had been developed through a patio design and build project in 2013. As as you can see in the photo above the area had no real use and had just been left to its own devices. 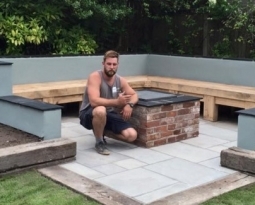 Beauscape landscaping team took 9 working day to transform it into a beautifully paved secret patio with a gazebo and fire pit which could be used as either a BBQ or just for fires. Seeing Dave’s face when he saw the fire pit really was great. As you can see the difference is staggering, an area of the garden that has never been used is now going to be the place to be. The fact you can’t see the area from the house does give it a secret garden vibe!! 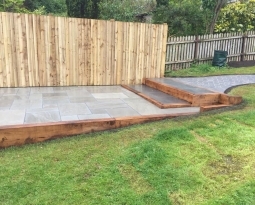 If you would like to landscape, create a patio, fire pit, gazebo or see how oak sleepers can be used to transform your garden or landscape, get in touch with Beauscape to start the ball rolling. 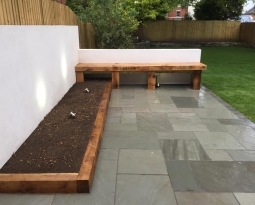 This project was in Sale south Manchester but we service areas like Hale, Altrincham, Bowdon, Wilmslow and many more, take a look at the Areas We Cover.